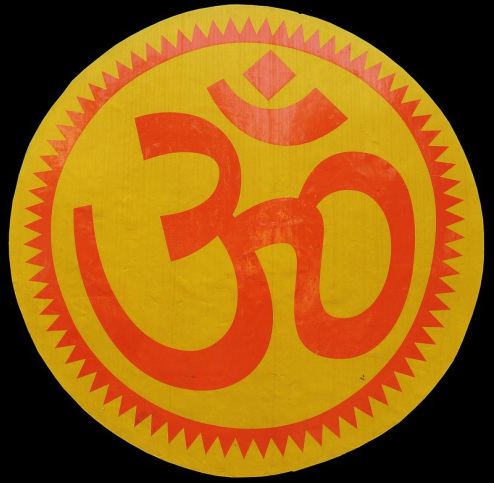 the word 'Ohm' symbolizes "Underlying Intelligence." or "the Vibration of the Universe." "The Mandukya Upanishad breaks down Ohm, or more accurately A-U-M, into its three matras (syllables), defining each as a state of consciousness. The A represents wakefulness, the U stands for dreams, and the M for deep sleep. These matras are visible as distinct strokes in the Ohm symbol."